Help spread the word about ACES by using these handy promotional tools. Click the thumbnail image to preview the item in your Internet browser, or click the blue Download button to download and save the item. Include this slide in your presentations at upcoming meetings, and give the conference a plug from the podium. 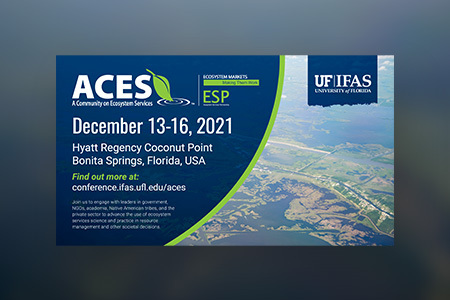 Use this to promote ACES and inform interested individuals about program themes and the latest announcements and calls to action. Use this in your organization’s digital or print newsletter, or have some printed out for display and distribution at meetings and events. Display the header in places that may contribute to added publicity. Add this to your email signature, and hyperlink it to the ACES 2018 website. Display the logo in places that may contribute to added publicity.